On Oct. 29, the senior administrator, along with two other directors, was issued a Mise en Demeure, or formal notice of legal challenge, for acting in bad faith after it was revealed the university had quietly renewed an exclusive vending machine contract with PepsiCo. The soft drink giant—which has supplied beverages to vending machines on campus without competition since 1996—will remain at Concordia University until 2015. A tip from an anonymous source in the Services department on the evening of Oct. 26 led to a veritable water war on campus between student groups and the administration, thrusting Concordia and its policies into the media spotlight last week. That night, Di Grappa confirmed with The Link that an “agreement in principle” had been struck with PepsiCo. over the summer. 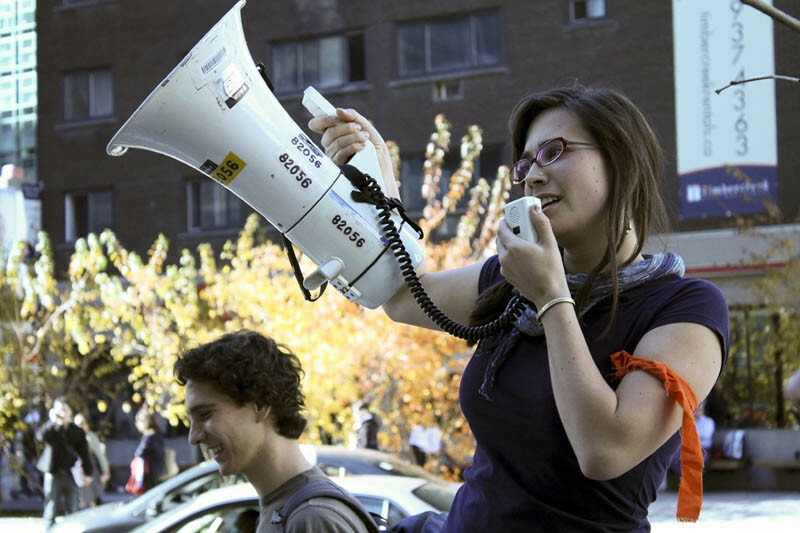 Laura Beach, who delivered the Mise en Demeure to Di Grappa, has a long history of water activism on campus as the co-founding member of the anti-water privatization student group TAPthirst. Fronting the campaign since 2007, she maintains that members of the administration made agreements with her that “no movement would be made” on the contract until all parties—students, administrators and vendors—sat down to discuss bottled water on campus in the context of the contract. TAPthirst, the Concordia Student Union and Sustainable Concordia say their attempts to negotiate an environmentally friendly alternative to the agreement were undermined. The groups made their grievances public on Oct. 26, when they took to Norman Bethune Square to demand consultation and transparency in contract negotiations. 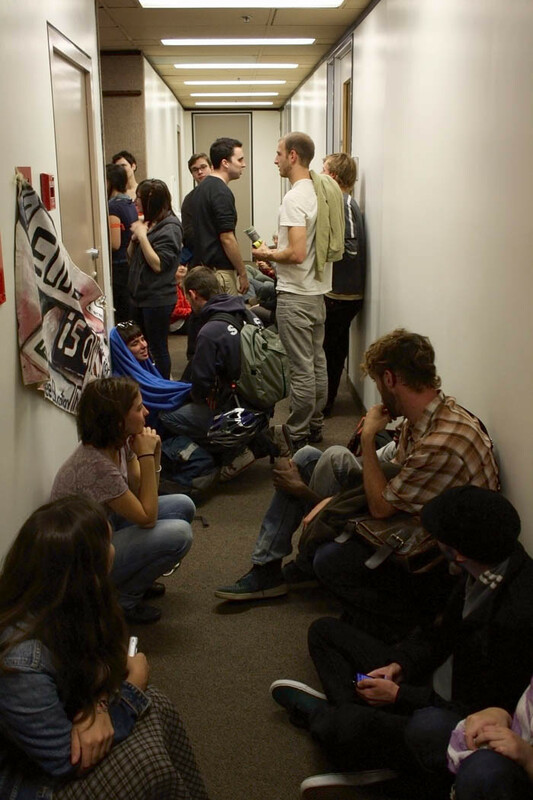 Last March, students discovered that Concordia’s 13-year contract with PepsiCo. was set to expire on Dec. 10, 2010. Organizing Concordia’s first Bottled Water Free Day on March 11, Beach created a petition that garnered 250 signatures on its first day of circulation. The petition reached over 1,000 signatures by June. With this goal in mind, Beach spent the majority of her summer attempting to set up a meeting with administrators from both the Services and Hospitality departments. On June 17, Johanne De Cubellis, the associate director of Hospitality Concordia, wrote an e-mail to Beach that is at the center of the current controversy. Hustling signatures of support from nearly every department and faculty on campus, Beach also prepared a letter to Concordia President Judith Woodsworth and a briefing document to Di Grappa. Both documents outlined the environmental, health and socio-economic concerns of bottled water and water security, as well as the opportunity for change in December. In May—as mandated by Di Grappa’s Services offices and requested by Hospitality Concordia—Concordia’s Environmental Assessment Committee held meetings to discuss the exclusivity contract and create recommendations for the administra- tion moving forward. Beach, along with Faisal Shennib—an Environmental coordinator with Sustainable Con- cordia—was told in a meeting with Marc Gauthier on May 12 that this was the best way to get their objectives through to the administration. Allegedly, Gauthier also reiterated that no movement will be made on negotiations or decisions regarding the contract until after all parties met with PepsiCo. Meeting on May 17, the EAC outlined that no individually packaged bottled water should be sold on campus and that beverage contract negotiations should abide by both the University’s Strategic Plan and the Environmental Policy VPS-5. The EAC recommended the contract ensured health, environmental and socially conscious products, suggesting 30 per cent of all products be supplied locally. This Law—known as the Act Respecting Contracting by Public Bodies—standardizes all public-private partnership contracts in Quebec, mandating that any contract worth more than $100,000 go through an open bidding process. However, because the PepsiCo. file was an existing contract with provisions for renewal, the university was not legally bound by the Act. Beach said she considers this legal loophole a poor excuse that allows the university to ignore its own environmental policies. The signatures, briefing and EAC recommendations on bottled water and negotiation of the contract were sent to Woodsworth and Di Grappa on July 7. On Aug. 20, President Woods- worth gave her first public comment to The Link supporting the potential ban of water bottles, but made no mention of the contract. By all administrative accounts, however, the agreement in principle had already been reached at this time. When asked why the administration failed to inform the student groups about the renewal, Chris Mota, director of communications, said it came down to business as usual. After the Oct. 27 sit-in, the university issued a statement in response to the increased media attention the contract had been receiving. Though the university’s official position is to keep the water bottle issue and the PepsiCo. contract separate, Beach maintains the conflict cannot be understood in these terms. “It’s a divide and conquer tactic,” she said. “If they divide the bottle water issues and then grant us a bottled-water free campus in 2011 and [expect us] to be happy with that, that is a totally false solution. According to Mota, the school’s administration has acted in good faith throughout the process. Beach has not yet decided to pursue further legal actions, but hopes her Mise en Demeure will change the way that the administration does business from this point forward. Letter to President Judith Woodsworth, Sent on July 7th, on behalf of over 35 faculties and staff.